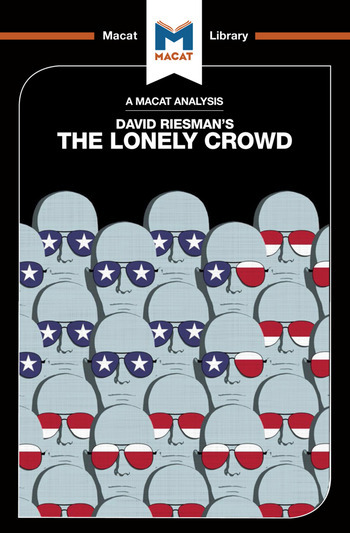 David Riesman’s The Lonely Crowd: A Study in the Changing American Character is one of the best-known books in the history of sociology – holding a mirror up to contemporary America and showing the nation its own character as it had never seen it before. Its success is a testament to Riesman’s mastery of one key critical thinking skill: interpretation. In critical thinking, interpretation focuses on understanding the meaning of evidence, and is frequently characterized by laying down clear definitions, and clarifying ideas and categories for the reader. All these processes are on full display in The Lonely Crowd – which, rather than seeking to challenge accepted wisdom or generate new ideas, provides incisive interpretations and definitions of ideas and data from a variety of sources. Above all, Riesman’s book is a work of categorization – a form of interpretation that can be vital to building and communicating systematic arguments. With the aid of his two co-authors (Nathan Glazer and Reuel Denney), he defined three cultural types that formed a perfect pattern for understanding mid-century American society and the changes it was undergoing. The clarity of the book’s definitions tapped directly into the zeitgeist of the 1950s, powering it to best-seller status and an audience that extended far beyond academia.